There's always a shortcut to everything. Sometimes, you never know, it might work out better! 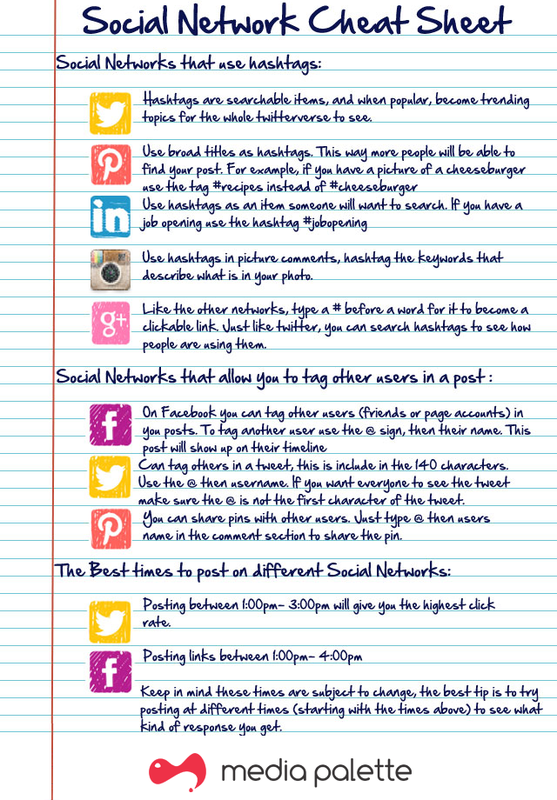 Here's s cheat sheet to the social network that will help you get to know the nuances better and be on track! GO VIRAL WITH THE FAMOUS 5 TIPS! HOOKING UP ON SOCIAL MEDIA? Want some great email posts? © Media Palette | All rights reserved. Awesome Inc. theme. Powered by Blogger.